We survived the Mayan apocalypse. (Whew!) But this most recent prediction of the end of days draws a big circle around the other recent doomsday predictions, as well as the near obsession many have with Armageddon-like prophecies. 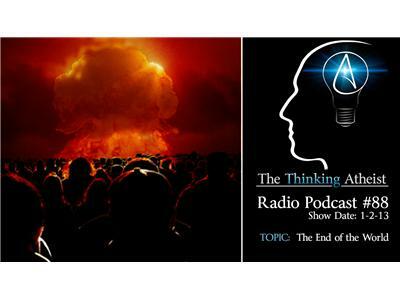 In this show, we look at some of the most memorable End-Of-The-World warnings and the people behind them, and we discuss the obsession so many have about their rendezvous with total destruction.